Alexandros Vassilikos was born in Athens in 1976 and he has studied economics in Nantes and London. He got married in 2007 and has two sons. Eldest son of the late Efstratios Vassilikos, who was the founder of the AIROTEL Group, he followed his father’s path and developed the family business. In 2000, at the age of 24, Alexandros Vassilikos undertakes the management of AIROTEL Group, contributing actively to setting the group policy and modernization. In 2002, by taking the lead of AIROTEL Group as President and he has driven the hotel group into a modernization and expansion period by totally renovating the assets of the company and adding strategic hotels and destinations to the portfolio. Seeing the promising growth prospects of the tourism industry for summer residence in Greece, under his chairmanship, AIROTEL purchases more than 20 houses in various picturesque and mountain villages of south-eastern Crete. These houses are refurbished and sold to the international market. Moreover, in 2007 Webotel SA is founded, a company which specializes in the representation of hotels on the Internet and the promotion and visibility in all major sales channels, to global distribution systems and internet distribution systems. AIROTEL Group manages-owns a total of six hotels. STRATOS VASSILIKOS, ALEXANDROS and PARTHENON are located in Athens. In Patras are the ACHAIA BEACH and the modern aesthetic SMART HOTEL which opened in the spring of 2010. GALAXY HOTEL the sixth hotel of the Group started its operation after a major renovation in Kavala in the summer of 2011. 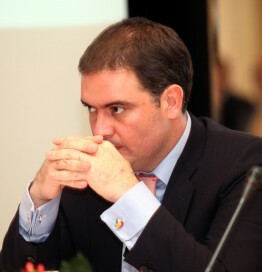 Apart from AIROTEL Group obligations, Alexandros Vassilikos is President of the Athens Hoteliers Association, he is also a Member of the Executive Council and Vice-President of the Chamber of Hoteliers of Greece, and Member of the Board of the Association of Greek Tourist Enterprises (SETE). Finally he is and economic adviser to the French Embassy in Athens.